The Supreme Court has issued notice to the Kerala government, the Travancore Devaswom Board and the Cochin Devaswom Board on petitions moved by TG Mohandas and Subramanian Swamy challenging the Government taking over the constitution of the two Boards which administer most of the temples in Kerala falling in the erstwhile Travancore-Cochin part of the State and demanding democratic participation of devotees in administration of temples. Mohandas and Swamy challenged the Kerala High Court decision refusing to strike down Sections 4 (1) and 63 of the Travancore- Cochin Hindu Religious Institutions Act, 1950, which allow the legislature taking control over the administration and rituals of the Hindu religious institutions on political lines while leaving out lakhs of devotees from the process. Mohandas, in his petition filed through advocate A Raghunath, said these two sections in the Act were arbitrary and in violation of Article 14 of the Constitution of India. Section 4 reads as “Constitution of the Travancore Devaswom Board-The Board referred to in Section 3 shall consist of three Hindu Members, two of whom shall be nominated by the Hindus among the Council of Ministers and one elected by the Hindus among the members of the Legislative Assembly of the State of Kerala”. Section 63 reads as “Constitution of the Cochin Devaswom Board- The Board referred to in sub-section (1) of Section 62 shall consist of three Hindu members, two of whom shall be nominated by the Hindus among the Council of Ministers and one elected by the Hindus among the members of the Legislative Assembly of the State of Kerala”. They said there is arbitrariness in the process of nominations and elections of the members to the Travancore Devaswom Board and the Cochin Devaswom Board. The two Devaswom Boards administer most of the temples situated in the erstwhile Travancore – Cochin part of the present State of Kerala that includes Kollam, Trivandrum, Ernakulam, Idukki and Thrissur Districts in Kerala and part of Kanyakumari district in Tamil Nadu. They submitted that “the method of nomination and appointment of the members to the two Devaswom Boards are undemocratic and are in derogation of the fundamental religious and administrative rights of the devotees to be part of such process”. “The nominations and elections of the members to the two Boards are vested with the Hindu members of the cabinet of Ministers of the Government of Kerala and the members of the Legislative Assembly who profess the Hindu Religion. However, lakhs of Hindu devotees like the petitioner would not obtain any right to be part of this process due to the arbitrariness and complete lack of transparency inbuilt in the entire method of nomination”. 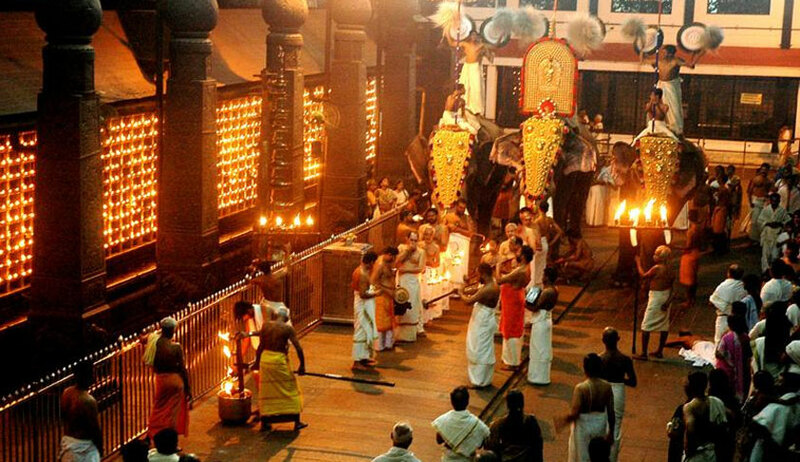 The petition raised a question as to whether or not by confining and concentrating the power of nomination and election of the members to the Devaswom Boards solely on the Council of Ministers, the aspirations of the devotees to elect the members on their own and by them directly is in reality obliterated. It also questioned if the absence of any provision in the statute to provide for the manner of identification of suitable candidates would lead to favouritism, cronyism, arbitrariness and capriciousness which would make the entire Act and the procedure arbitrary and liable to be struck down. The petitioners also sought to know that when a temple is taken over by the state government on the allegation of mismanagement, is it not incumbent on the government to return the management of the temple to its original owners on the evil being remedied. Mohandas also relied upon the counter-affidavit filed by Swamy in his petition before the Kerala High Court wherein the latter had found merit in contention made in the petition that leaving aspirations of a devotee to the mercy of political democracy in a general election is highly arbitrary and ultra vires of Article 14 of the Constitution. He also supported the allegation that MLAs are not allowed to exercise their free will in the election of the members to the Devaswom Boards but had to comply with whip issued on political lines makes the participation of Hindus in the decision making the process a farce exercise. Both the petitioners demanded implementation of a recommendation made way back in the year 1984 by the K.P. Sankaran Nair Commission for an elected body for conducting the administration of every temple with an apex body at the State level governmental control at appropriate levels.